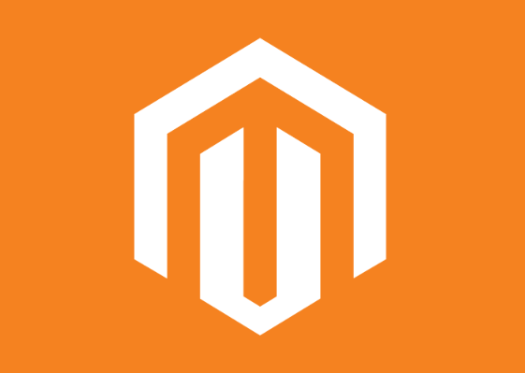 As a Magento Enterprise Solution Partner, clients often look to us as experts and expect us to know about all of the upcoming features and smartest strategies that are specific to the platform. Lately, we’ve received many questions about Magento Business Intelligence (aka Magento BI). In this blog post, I’ll run through some of the most common questions we’ve received in the past few months. Q: What is Magento BI? Q: Magento BI sounds cool, but I already have Google Analytics. Why do I need both? A: Magento BI does sound similar to Google Analytics at first glance, but there are a few important differences. First, Magento BI actually syncs with Google Analytics and leverages that data, along with data from many other platforms: Facebook Ads, Mixpanel, NetSuite, Salesforce, Trello, and Zendesk (to name only a few). As a marketer, this is HUGE. Instead of checking each separate platform, all data is collected and available to analyze in Magento BI. You no longer need to worry about running cross-platform comparisons when Magento and Google Analytics sales data doesn’t match. If you’re the type of marketer who still likes having separate dashboards for all data sources, don’t worry! You can still keep everything separate in Magento BI if that’s how you like to analyze data. The second big difference between Magento BI and Google Analytics is the ability to calculate customer lifetime value. Have you ever tried to do this with Google Analytics? It’s impossible and involves a ton of guesswork and inaccurate calculations. If you want more information about why Google Analytics is not the right platform for this type of analysis, read this post by Annie Cushing from Annielytics. Since Magento BI syncs all data sources, it’s possible to calculate and compare acquired customer lifetime value and the cost of each acquisition by channel. This is super valuable if you’re trying to figure out how much to spend on a specific ad network. Maybe you work with a digital marketing agency and feel like they’re throwing away money on your PPC campaigns. Simply analyze your data in Magento BI to figure out if they’re spending recklessly. For marketers and merchants, Magento BI is a powerful tool. Another cool thing that sets Magento BI apart is the ability to predict future purchases by analyzing historical data. If Magento BI says, “hey, this specific customer is probably about to make a purchase,” your marketers can jump into action and make sure that purchase happens and that the AOV is as high as possible. Q: How much is Magento BI? A: Magento BI Essentials starts at $100/month and is based on your store’s Gross Merchandise Volume. Check out this calculator tool to get a better idea of how much it might cost for your business. Q: I’m a merchant and don’t have a data scientist on my in-house marketing team. Does Magento BI still make sense for my company? Will we be able to correctly utilize it? A: Yep! Magento BI was designed for marketers and merchants, not data scientists. As previously mentioned, a demo and some training will definitely be helpful and give you the tools you need to start using the platform correctly. Once someone demonstrates the primary features, the platform is fairly intuitive and very visual, so anyone used to Google Analytics shouldn’t have a problem picking it up quickly. If, by chance, you do have a data scientist (or someone who knows SQL) on your team, all the better! BI has some great features that more advanced users will love. Q: Tell me more about these advanced features. A: If you know SQL, the SQL Report Builder is probably the coolest advanced tool that Magento BI offers. To learn more about it, check out the RJMetrics Help Center guide. Q: I see that Magento BI has the ability to perform Cohort Analysis. What the heck is that? While analyzing whether or not a specific change was successful, cohort analysis allows you to group users based on behavior and then market specifically to them. To learn more, check out this RJMetrics site, specifically devoted to cohort analysis. Q: Alright, you’ve convinced me. How do I get started with Magento BI? A: Contact your Magento rep if you’re interested in setting up a demo or free trial. There is a bit of a learning curve for BI, but your rep can walk you through everything and answer any questions you may have. If you already have Magento BI and are confused about how to use it, feel free to contact Something Digital. We’re always happy to help.